Can you freeze baked muffins? Can you freeze muffin batter? Great questions. I love to have a warm muffin with my morning coffee. Since I am not a morning person, I can assure you that there is no morning baking happening at my house. There are two ways to enjoy a freshly baked muffin in the mornings. One, take a pre-baked muffin out of the freezer, and two, take a frozen muffin batter cup out of the freezer, bake, and enjoy. Clearly, the first one is the fastest method. Prepare batter and bake muffins. 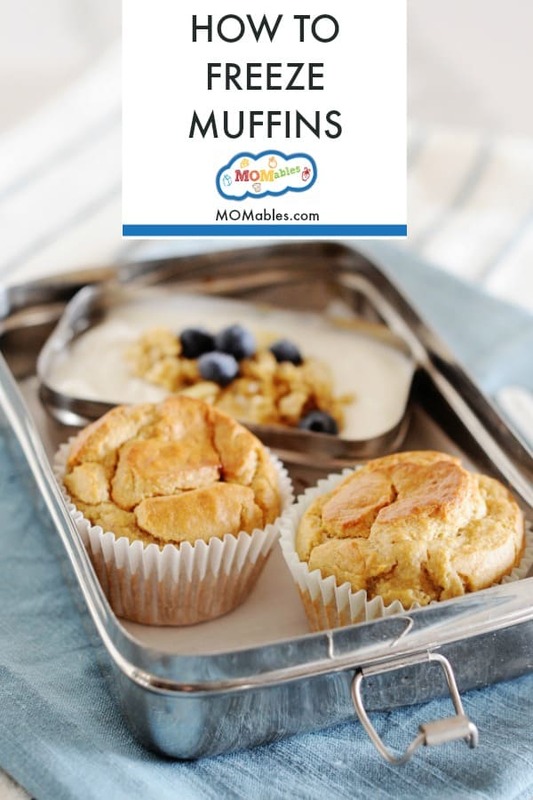 Allow muffins to cool down to room temperature. Freeze muffins for about an hour, until solid. Transfer muffins into a freezer bag and keep in freezer up to two months. 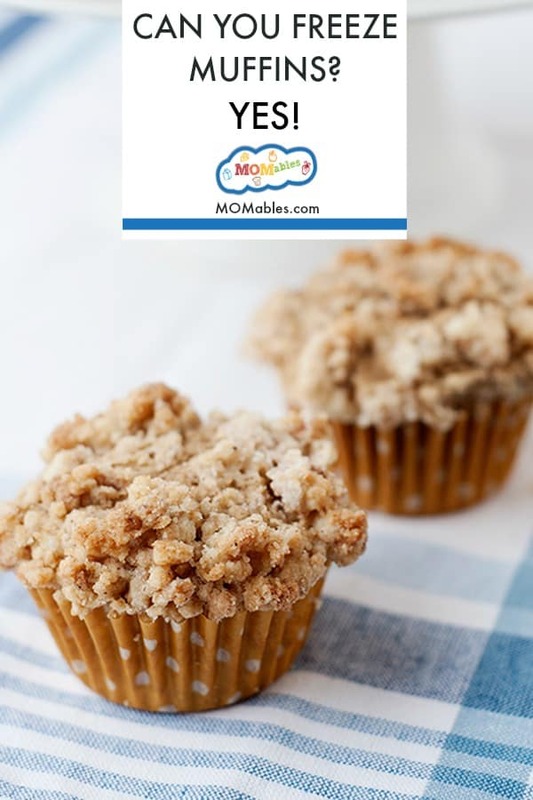 To heat, simply remove the frozen muffin and warm up in the microwave for 30 seconds to 1 minute. 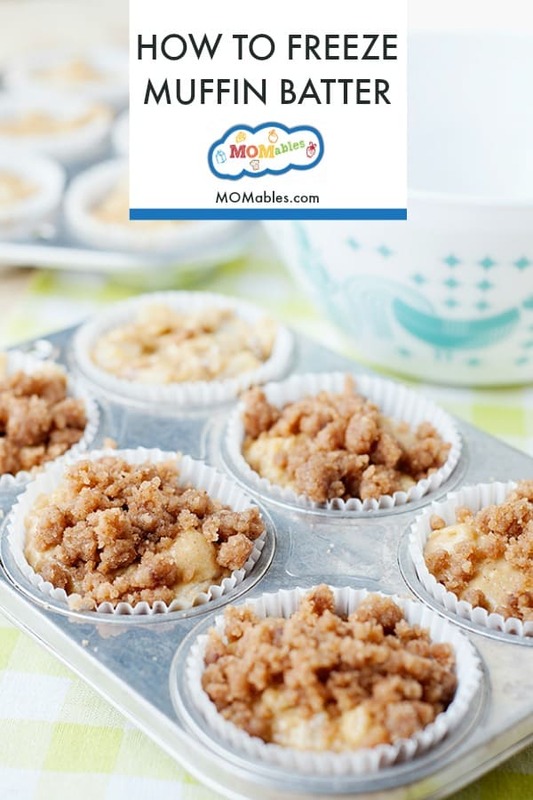 Prepare batter and fill lined muffin tins with batter. 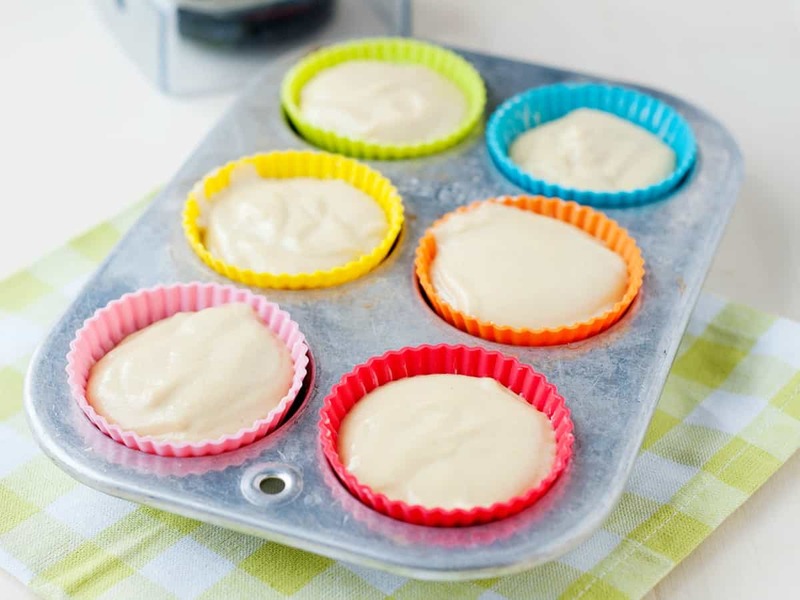 Place muffin tin flat inside your freezer and freeze, for about 4 hours. 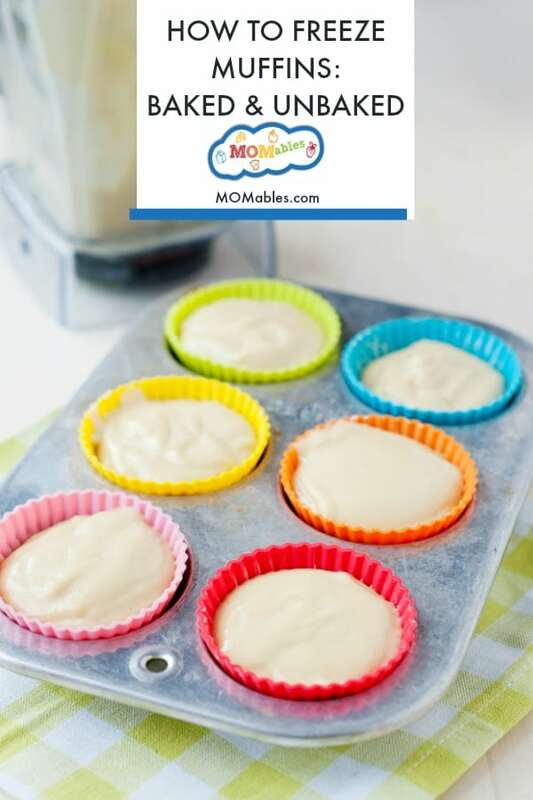 Remove frozen muffin batter cups from the baking tin into a freezer bag. Label freezer bag with baking temperature and time, and keep in freezer up to two months. 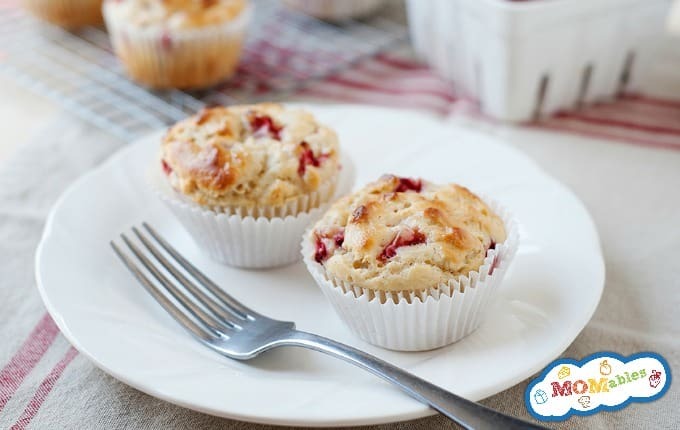 When ready to bake, remove the number of muffins you want to enjoy and simply bake, in the preheated oven, for an additional 3-5 minutes of the original time, until a toothpick inserted in the middle comes out clean. For a muffin lover like myself, learning how to freeze my muffins has been a money-saver. Not only do I save money from buying the occasional muffin here and there, I now have a freezer stocked with different varieties of muffins that make perfect after-school snacks or even work perfectly in the lunch box. I’ve been freezing muffins for a long time now. 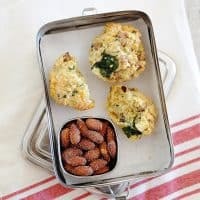 As soon as I figured out this trick, I always made sure to keep baked muffins in our freezer for a quick grab and go breakfasts and snacks. The muffins you saw in this post are my Strawberry Muffins. 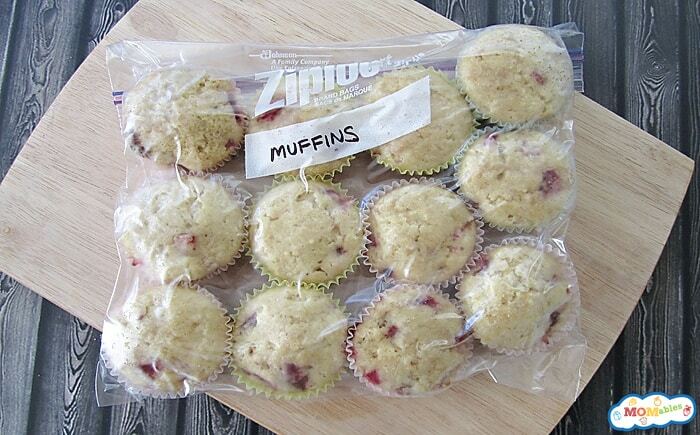 If you choose to freeze your muffins in a freezer-safe bags, make sure to squeeze out any extra air first. Then place that bag inside another freezer-safe bag to prevent freezer burn (this will vary by freezer type). Once your bag is empty, you can wash, dry, and reuse your bag for more muffins. Label the bag if desired. Freezer bags are always best. Try double bagging. Also, they should only be in there for 30-90 days depending on the freezer. I freeze it with the glaze. thaws out warm mostly melts. Or, you can omit. I have wrapped my raisin oatmeal muffins in saran wrap then put in a freezer bag. How do I thaw them, can’t heat, need room them. Remove all wrap and thaw on the counter? Don’t want them soggy!!! THANKS! Simply take them out and they thaw out on the counter or overnight in the refrigerator. The texture doesn’t change much. Enjoy! Thank you~ It is with confidence that I will be freezing (enhanced-)corn muffins for my kids. “Enhanced” in this case means I’ll add a little applesauce & maybe bit of carrot puree(or orange) & cinammon. Hello! I have been baking muffins from scratch and freezing them for almost a year now, and love it! It’s always worked out well for me, except this last time, I did everything as usual, but now when thawing them there seems to be ALOT of water/condensation appearing after thawing….. WHY?!?!?! any insight or advice??? I usually bake them, put them on a cooling rack to cool completely, then I double wrap in saran wrap and close the saran wrap with a round sticker the size of the bottom of the muffin, then I place several muffins in a freezer bag, and freeze. This has worked well every time for many months now, except this last batch and I don’t know why they are ending up so wet and condensationy? Any help/advice would be appreciated, thank you! Mallory, I don’t know why it didn’t work this time. Perhaps a different recipe? lots of variables can affect how something thaws. sorry! Do you freeze them on the same day you baked them? You can! Make sure they cool completely in the pan before freezing. I used frozen blueberries to make blueberry streusel muffins. Can I still freeze the extra muffins since I used frozen blueberries ? Do you have a suggestion to keep the muffins from sticking together and tearing? I am trying to make a bunch of mini muffins in advance for a graduation party and freeze them, but mini muffins are hard to keep upright. If they flip over and touch anything (each other,the bag) some of the muffin tears off. My best advice would be to use a container instead of a plastic bag and make sure they’re sitting on a completely flat surface in the freezer. Good luck! Hi, I made a batch of your kitchen sink muffins and they were so tasty! Thank you for the amazing recipe. I have just one question about reheating them. Do you just put the muffins on a plate and pop them into the microwave? I tried to heat them up in my microwave this morning and they turned rock hard. Should I have wrapped the muffins with anything? Typically, I let them thaw out on the counter or overnight in the fridge. I give them a 10 second warm in the microwave. Any longer than that will cause most baked goods to turn rock hard. Glad you liked them! Thank you so much! I’ll try again! 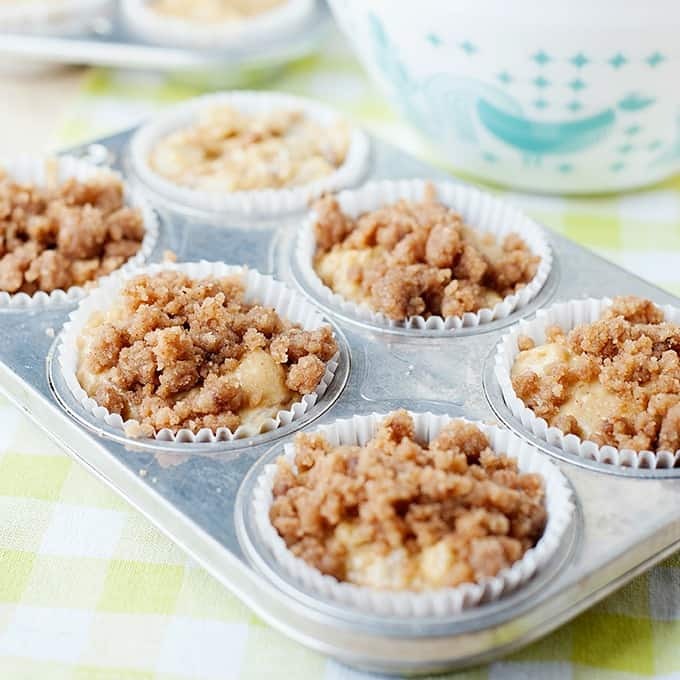 Do you freeze them with the paper cups still on them from baking? Or do they need to be removed before freezing? I freeze them right in the paper cup, inside the tray. once frozen, take them out of the tray and store in a zip bag. 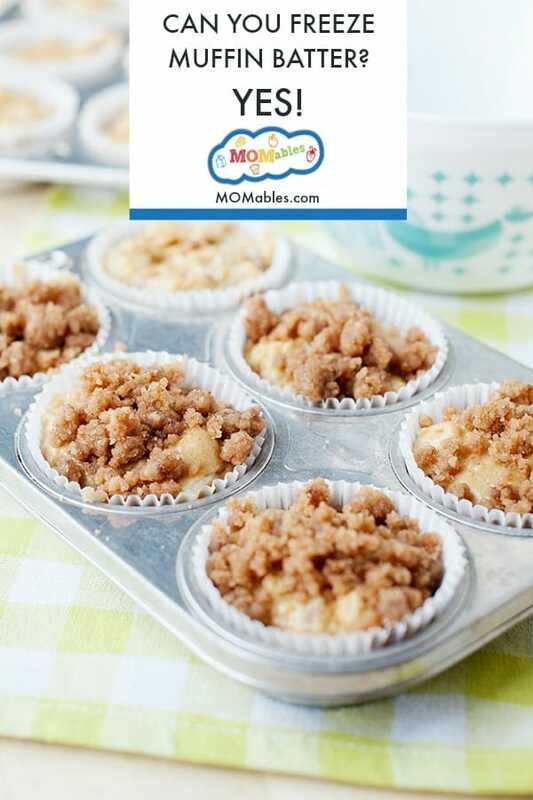 What kind of muffins are these in the picture? They look delicious. Do you have the recipe to these on your site somewhere? Thanks! Are these (the ones pictured) your blueberry muffins, but with cranberries or other fruit? Would love this recipe! :) Thanks!! I’ve been freezing muffins for years, too, but I freeze the batter! I pour batter into muffin liners in muffin pans and freeze them. Once they’re frozen, I transfer to a gallon ziploc bag with bake times and the type of muffin. 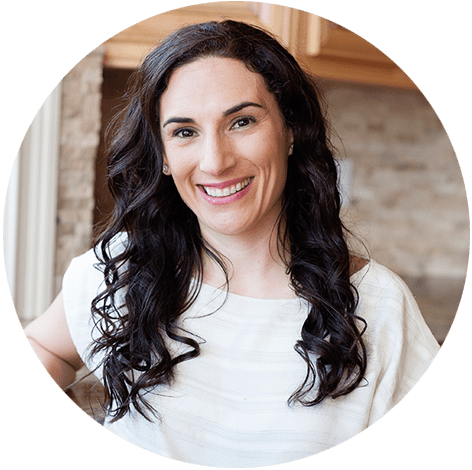 When I’m ready to bake, I put the frozen muffins back into muffin tins–if I’m together, I put them in the fridge the night before and preset the oven to come on in the morning. If not, I put them in the oven still frozen and add an extra five minutes or so baking time. This way I get freshly baked muffins but the work was done way before! Thanks for the tip! Would have never thought of freezing muffins! the freezer is your friend Tiffany! How do you go about reheating them? Thank you Katie for this question! I’ve edited the post to say that I typically microwave them for 15-20 seconds or put them in the fridge to thaw overnight. A quick 5 seconds in the microwave is all they need.